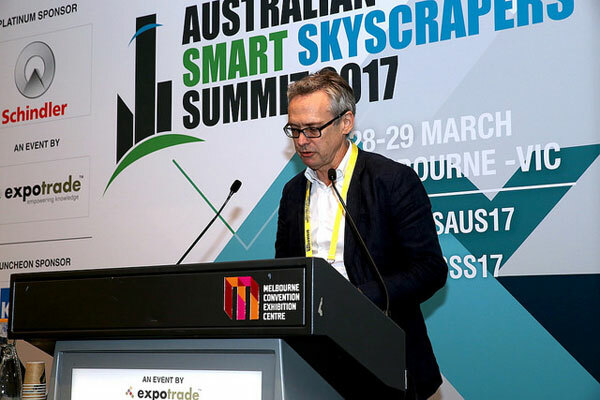 Expotrade are delighted to announce that the Australian Smart Skyscrapers Summit is back for the second time. Attracting over 200 delegates in 2017, the high-rise building design event remains a prime platform for knowledge sharing and networking amongst the architectural and structural fields in Australia and internationally. The 2018 conference will be held from the 26th-27th of June at Doltone House, on Sydney’s Darling Island. This year’s agenda centres on the designing and constructing processes of some of the ‘smartest’, most innovative skyscrapers completed or in completion today. The challenges of designing such skyscrapers, particularly within an era that demands its structures be green and highly sustainable, will be a key theme permeating throughout the Summit’s two days. Paul Walter, Director of Atlas Urban, will discuss new approaches to architecture and place-making, utilising design and cutting-edge technology to create a smart precinct that is both environmentally-friendly and people-friendly. Sydney’s upcoming Barangaroo development is at the forefront of resolving the challenge of the tower and the square. The project gives insight into how the global trend towards hyper-density and place-making is playing-out locally on this extraordinary Sydney Harbour site. The development intends to intermesh live, work and play spaces; potentially contributing $2 Billion a year to the NSW economy while creating zero waste emissions and becoming a key Instagram-worthy location in Sydney. Philip Harrington, Principal Consultant at Strategy. Policy. Research and former Principal Manager of pitt&sherry, will analyse how renewable energy (on- and off-site), and energy efficiency together can be utilised to achieve smart and cost-effective outcomes within the design and development of skyscrapers. Philip will also be able to update delegates on the work on the ASBEC/ClimateWorks Code Trajectory project, which aims to explore the social and economic feasibility of steering the entire building sector towards utilising zero carbon. A panel consisting of speakers such as Turf Design’s Mike Horne, PTW Architects’ Mark Giles, and Bates Smart’s Philip Vivian will discuss how to design human-centric high-rises, which serve to boost the moods of occupants and facilitate productive work environments. Attendees will be encouraged to further network and socialise with fellow delegates in specialised speed networking sessions and a cocktail function. The 2nd Australian Smart Skyscrapers Summit will explore the challenges, developments, new technologies, and opportunities facing architects and engineers developing new skyscrapers within our increasingly vertical cities.